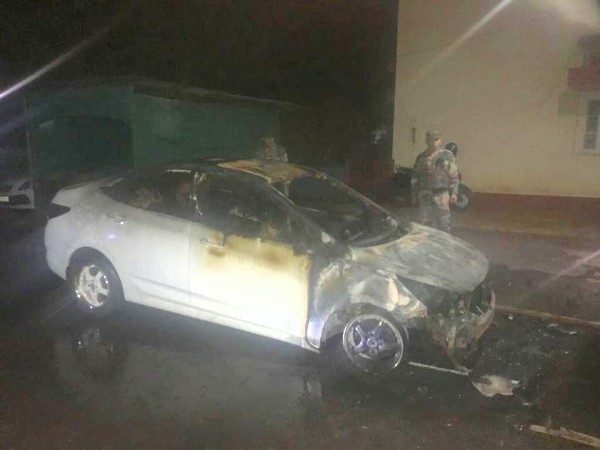 As many as seven cars parked on a road in Jadhav Nagar in Belagavi in the early hours of Wednesday were set on fire. They were parked outside bungalows and apartments. After that incident on Wednesday night around 8 PM two cars were set a blaze at near Queens Garden and then more cars were torched at Vinayak Nagar around 8.45 PM. CCTV footage (Jadhav Nagar) showed three persons who came in a car setting fire to the parked cars. They were wearing helmets to avoid being spotted and their car had no number plate. Police Commissioner D.C. Rajappa has constituted a special team to crack the case. The modus operandi of the miscreants seems to be the same where they come in a car and wear helmets to avoid their faces been seen and then use a cotton ball dipped in fuel place it on the car and then torch it. Such perpetrators must be arrested and punished at the earliest.